Air Wars – Will Seaplanes Replace Helicopters on Superyachts? We profiled the new Mercedes Benz-style helicopter, the EC145. Its use as an air tender on mega yacht charter vessels is popular. Several readers contacted us. They said the future air tender might be a plane, and not a helicopter. We decided to investigate further. To illustrate, there are four compelling reasons behind the seaplane advantage. Specifically, acquisition cost, maintenance cost, payload, and range outweigh helicopters. Similarly, it is often more affordable to buy and maintain a seaplane. Compared to a helicopter; we found payload comparisons vary. This is because of the type of airship. Seaplanes far exceed the range of typical helicopters. The new generation of planes, specifically, Special Light Sport Aircraft, are the new item. These aircraft are relatively new to general aviation. In 2004, the Federal Aviation Administration (FAA) created a new category for sport aircraft. In general, sports aircraft are cheaper to build than most helicopters. With fewer training hours required, it is also easier and less expensive for people to get a sport pilot license as compared to a traditional pilot’s license. As a tender to a luxury yacht charter vessel, the most interesting new sports plane is the Icon A5, slated for full production later this year. The A5 is a 2-seat composite amphibian. 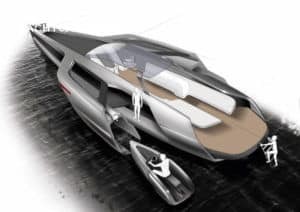 Weighing just 1000 pounds, the plane features folding wings, allowing the aircraft to be stored onboard a yacht in a space no larger than 28 by 9 feet. With a price of just $135,000, the Icon A5 could prove to be the low cost air tender of the future. 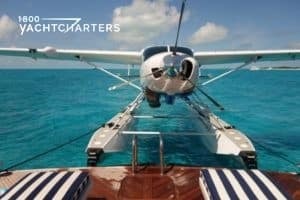 Take advantage of great last minute specials for charters in New England, the Bahamas, and the Mediterranean. Contact us at https://www.1800yachtcharters.com/book-now/ TODAY. We first profiled motor yacht EXUMA, and we were skeptical of a builder known for launching luxury sailing charter vessels. Other yachts built by this manufacturer are MELEK and PANTHALASSA. All doubts were erased about designer once the project was completed. 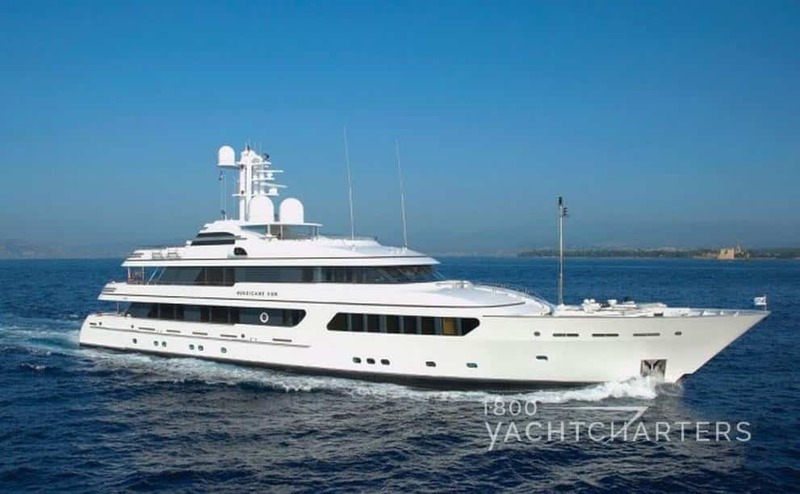 Firstly, motor yacht EXUMA is award-winning. 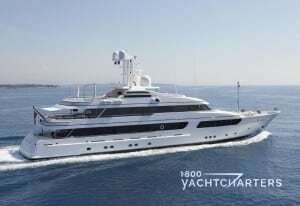 She earned the Motoryacht of the Year at the World Superyacht Awards 2011. 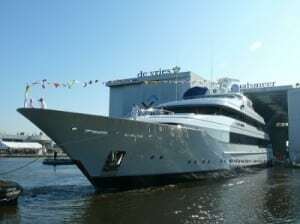 Secondly, the 50 meter poweryacht was also named Best Displacement Motoryacht under 500 gross tons. Her builder? The Perini Navi Group, typically known for sailing yachts. 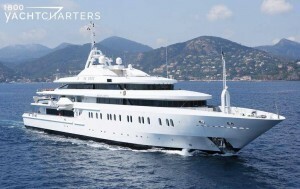 The yacht accommodates 8 to 9 guests, and she is currently in Tahiti. 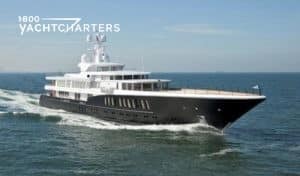 She is available for charter until early August. After some use by her owner, she will again be available from mid September to late October in Fiji. WHAT MAKES YACHT EXUMA SPECIAL? Exuma has a very low draft. She can access anchorages too shallow for most large yachts. Moreover, her shallow draft enables her to explore the reefs of French Polynesia. Unique onboard toys include a Hovercraft, underwater Seabob scooter, an electric moped, and Amphibious jeep. Unique, indeed! In conclusion, are you looking for an unforgettable vacation experience? Are you interested in a unique vacation destination this summer? Come explore French Polynesia on a yacht. 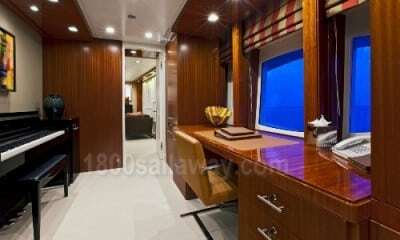 Motoryacht Exuma’s owner negotiates rates for last minute bookings! Contact us at https://www.1800yachtcharters.com/book-now-contact-us/ for more booking details. They say, It’s Better in the Bahamas, and MCP motor yacht Eagle’s Nest hopes to prove that saying true. 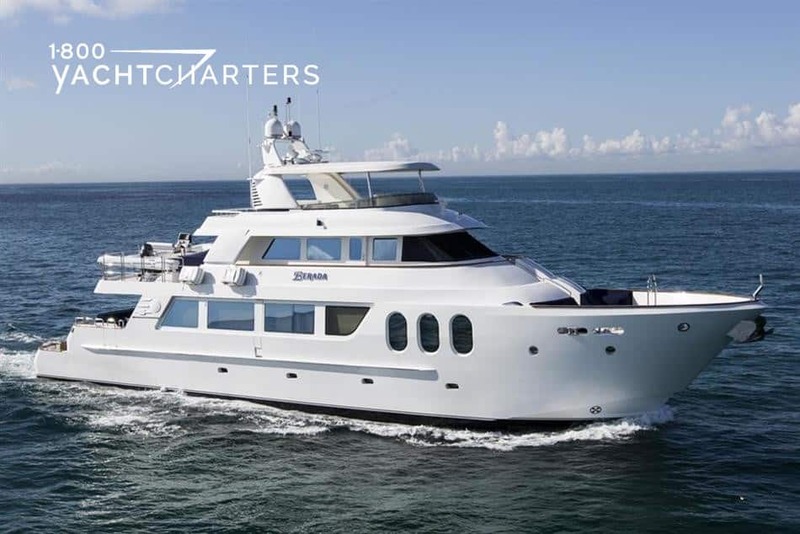 Effectively immediately, the 98′ Bahama yacht charters vessel has a reduced weekly high season rate, from $45,000/wk to $38,000/wk – a savings of over 15%. Rates are plus running expenses (food, bar, fuel, etc.). WHY GO TO THE BAHAMAS? Sure, a Mediterranean yacht charter vacation is fun, but what if you’re looking to stay closer to home this summer? The Bahamas are less than 50 miles away from Florida. In the time it takes to commute to work, you and your family can be in the sun-drenched islands, far from the overcrowded anchorages of the Mediterranean. Built in 2007, motor yacht Eagle’s Nest can accommodate 6 to 10 guests in 4 cabins, making her ideal for a family vacation. Her master stateroom, located on the main deck, features a walkaround queen bed, satellite TV, and ensuite bath. Below deck, two guest staterooms offer walkaround queen beds, while a third cabin features twin beds plus two built-in bunks – a perfect room for 4 children. Each stateroom has many features. For example, a Crestron audio entertainment system with surround sound, reading lights next to the beds, complete blackout blinds, hairdryers, and port holes allowing plenty of natural light. Of course, motor yacht charters in the Bahamas are all about the sun and the sea, and yacht Eagle’s Nest is the perfect platform to explore the islands. Her semi-shaded aft deck is ideal for al fresco dining with seating for 8-10 guests, as well as access to the cockpit, forward, and large swim platform, aft. Moving up a level, the bridge deck is also semi-shaded and features a large Jacuzzi tub with sun pads, plus a barbeque BBQ and ice maker. Need even more space to worship the sun? A third top deck, the sun deck, offers semi-shade, an al fresco dining table, cushioned seating areas, and a wet bar. For active guests, Eagles Nest carries an assortment of aquasports equipment – from snorkeling gear to fishing poles and scuba gear (for certified divers only). Take advantage of this great deal HERE …and learn more about other special rates on summer yachting vacations, contact our destination specialists today! Aficionados of premium brand jewelry, cigars, furniture, and automobiles understand. Enthusiasts draw to the brand’s pedigree and reputation of excellence. It dates back to 1949. 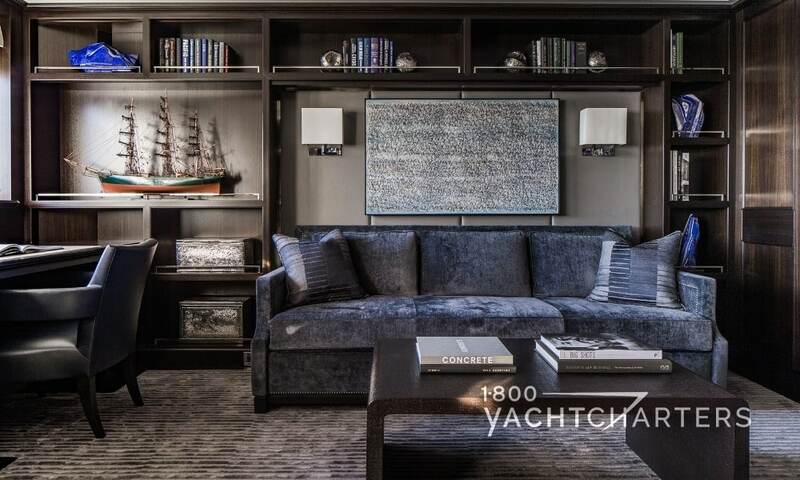 These yachts are synonymous with quality craftsmanship and the finest building materials. Ironically, the builder embraced state-of-the-art construction technology. It is now renown for modern superyacht designs and naval architecture. 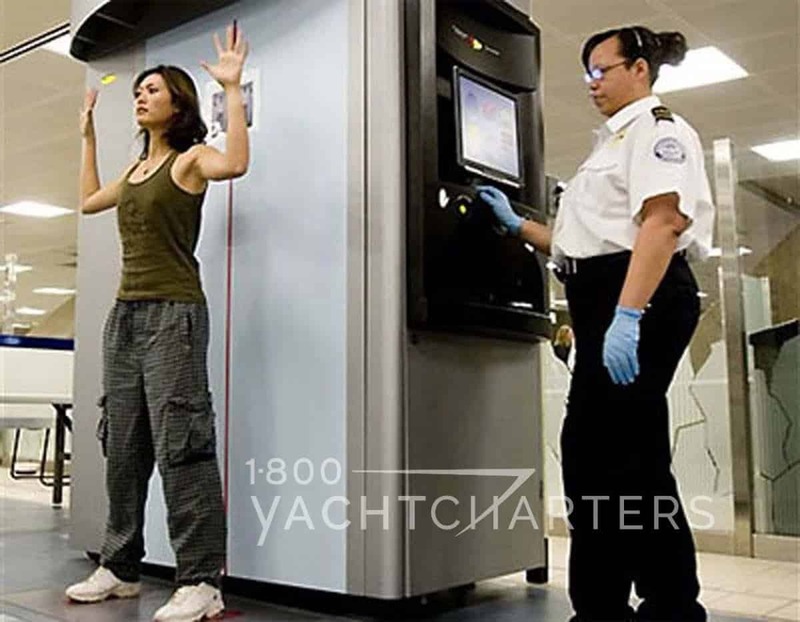 While questions may remain as to whether or not airport scanners pose a health risk to travelers, there’s good news for airline passengers uncomfortable with screeners viewing their naked image. New software for screening passengers at U.S. airports will do away with naked images, according to the Transportation Security Administration (TSA). After hundreds of complaints from travelers, the TSA began testing software for uses a generic body outline and highlights the area where any anomaly is detected during a full body scan. Now, as you prepare to board your flight, your body image will not appear in this new scanning software. Made by L-3 Communications, scanners at the 40 domestic airports that currently use the equipment will be upgraded over the next several months, the TSA said. “This software upgrade enables us to continue providing a high level of security through advanced imaging technology screening, while improving the passenger experience at checkpoints,” said TSA Administrator John Pistole. The agency also plans to test similar software later this year for the 247 backscatter scanners that are in 38 airports and made by OSI Systems Inc’s Rapiscan Systems unit. Later this year, the TSA will unveil a pilot program that will allow some frequent fliers at four hub U.S. airports to go through expedited screening. Want to save time at the airport? Read our quicktips for hassle-free airport screening HERE. Rules are inevitable. They are for your safety. Kayaks, skis, towable wakeboards, and bananas are great toys to have on a mega yacht charter. The most requested aquasport equipment is the personal watercraft (PWC). 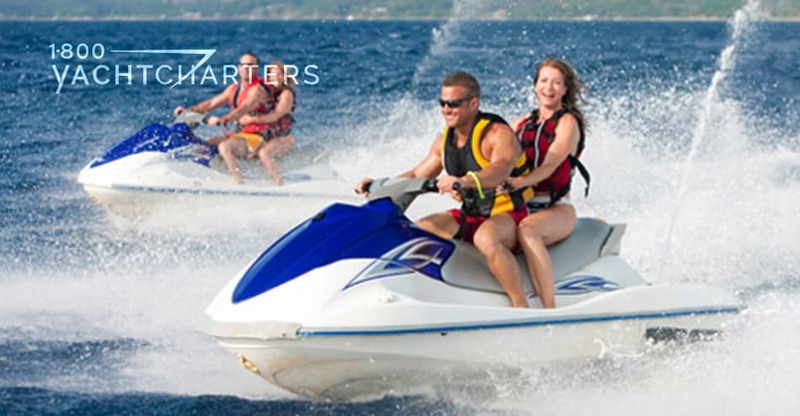 Jetskis and waverunners are fashionable on yachts for hire, particularly the newest yachts available for charter. 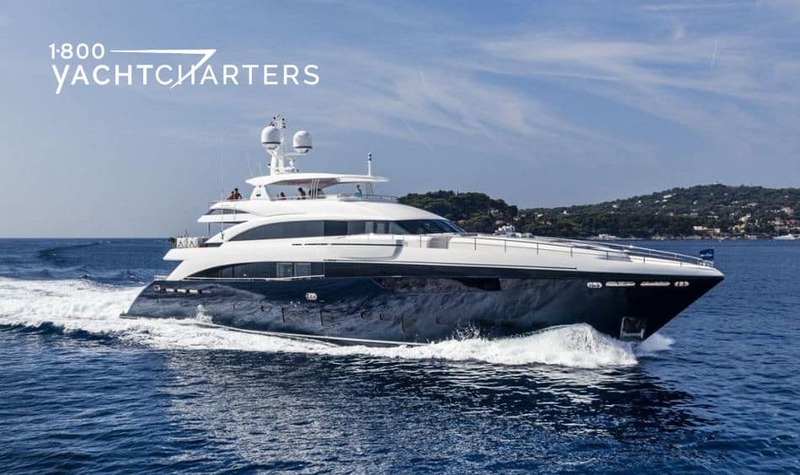 Firstly, charter clients can end up frustrated and disappointed if they are not aware of the rules regarding the use of PWC’s in certain cruising grounds. Waverunners not allowed in certain protected bays and coves, some governments require the operator of the PWC to have a license – and please note: an automobile driver’s license is NOT sufficient. Bottom line, just because your yacht carries waverunners onboard does not mean you can legally use them. Thirdly, get a license! One way to obtain a PWC license is via one of many online boating safety courses. Courses may vary from state to state and from country to country. Fortunately, many PWC licenses are recognized and accepted in major charter destinations like the Western Med. FINALLY, YOU HAVE YOUR LICENSE, NOW WHAT? 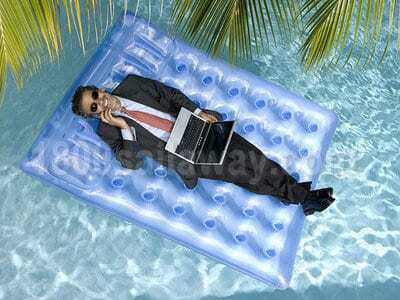 Once you obtain your PWC license, be sure to discuss with your crew your desire to use the yacht’s personal watercraft. You might be surprised to find your cruising ground does not permit the use of PWC’s – license or not! This is especially true in areas with sensitive eco systems. British Virgin Islands yacht charters, for example, are not allowed to use PWC’s anywhere in the island chain. In conclusion, knowing the rules for operating personal watercraft before your charter will help make your vacation safer and memorable for all the right reasons! 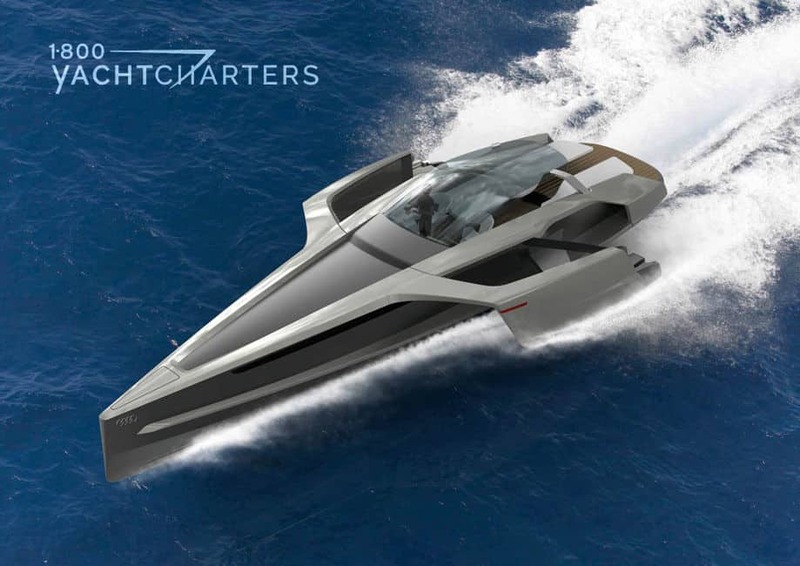 From waverunners to mini submarines, click https://www.1800yachtcharters.com/book-now-contact-us/ and let our experts help you select the perfect yacht with watertoys for you and your family. PRINCESS – Lady or Yacht? When we think of a “Princess,” we often envision a beautiful young lady with charm, grace, and the finest heritage. The same holds true in the world of yachting. UK-based Princess Yachts has become synonymous with that which is the finest in design of luxury yacht charter vessels. The company has a strict dedication to the highest standards of design and craftsmanship. This British builder has become one of the most respected names in the marine industry. They offer flybridge models from 42 to 90 feet. 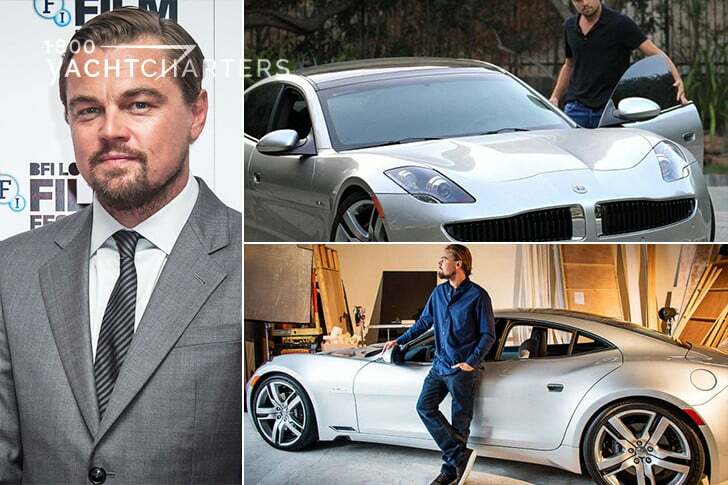 In addition, they build mega yacht charter vessels from 32 to 40 meters. The 72 model displays every characteristic that defines a Princess: clean flowing lines, elegant styling, and effortless power swelling to a cruising speed of 34 knots. The Princess 72 Motor Yacht perfectly combines the comfort and elegance of a motor yacht with the performance of a sports cruiser, making her a most desirable yacht for hire. Come spend a week on a Princess. The 2011 motor yacht FLOREVA 2 is available in Rosas, Spain. 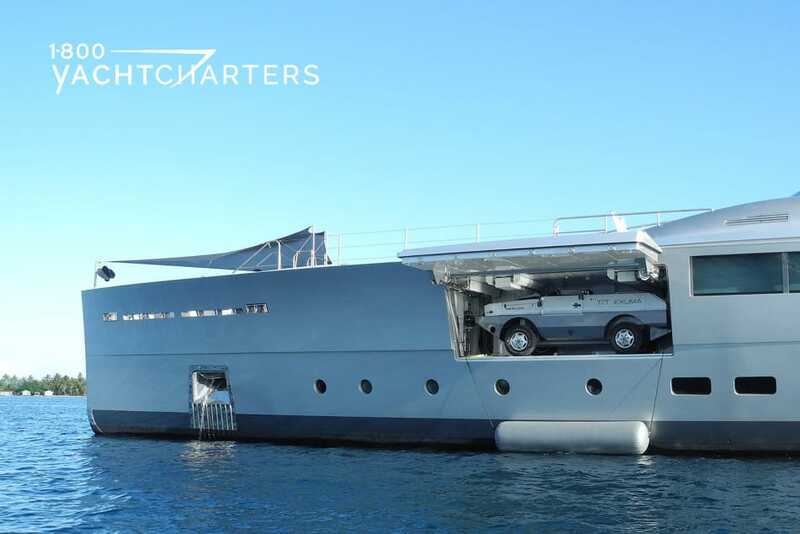 The yacht accommodates 8 guests and is priced at €36,000 per week, plus expenses. Contact our consultants HERE for reservation details.